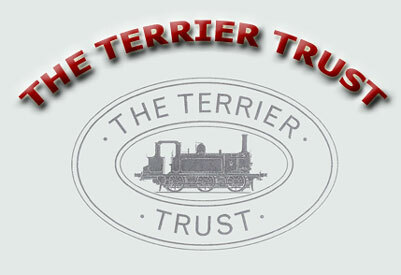 The Terrier Trust CIO is a Registered Charity to advance the education of the public by the preservation, maintenance, public display and operation of "Terrier" Class steam locomotives. The Trust owns No. 3 "Bodiam" and No. 32678. 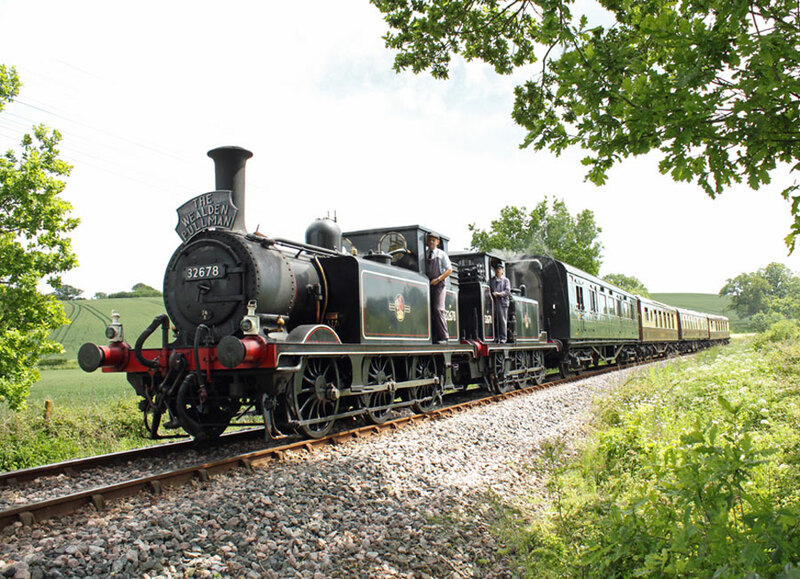 The inaugural meeting of The Terrier Trust was held on 16 September 1995 by a group of members of the Kent & East Sussex Railway (K&ESR) determined to ensure that Terrier operation would be resurrected on the line. In 2018 The Terrier Trust was converted to The Terrier Trust CIO (Charitable Incorporated Organisation). What is a Terrier? It is the pet name ascribed to an original class of 50 small 0-6-0 tank locomotives built by the London Brighton & South Coast Railway (LB&SCR) between 1872 and 1880. Also known in their earlier days as Rooters, these small, hard-working little machines acquired their popular nickname due to nippy performance as much as their distinctive chimney exhaust, or bark, exacerbated by their Westinghouse air brake pump. By a combination of multi-tasking throughout their careers, modifications, alterations, rebuilds and sheer luck, no fewer than 10, or 20%, have survived into preservation in one shape or form. This is unprecedented for a relatively mass-produced Victorian design. It is true that higher proportions of the Southern Railway's (SR) Bulleid Pacifics, for example, remain extant - and yes, like the Terriers, in various guises. For many classes of engines, however, that do survive, only have one representative; the most obvious example being the world-famous A3 Pacific 4472 Flying Scotsman. Possibly, there are parallels in aviation circles with the Supermarine Spitfire. They were right machine in the right place at the right time. It is a truism that if something is well designed, looks good, and perhaps sounds good, then generally speaking, it will perform well. Create a product that is capable of improvement, can be rebuilt, do more than just the job for which it was originally intended and, most importantly, capturing the imagination of the public, then fame and affection can be guaranteed for posterity. This website will be updated regularly and contributions are welcome. As an educational charity we wish to promote the importance of these engines to a wider audience and in time establish a library of information and photographs from inception to the present day. Click here to join the Trust.